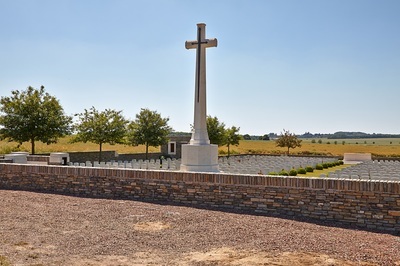 Roclincourt was just within the Allied lines before the Battle of Arras in 1917 and it was from here that the 51st (Highland) and 34th Divisions advanced on 9 April 1917. 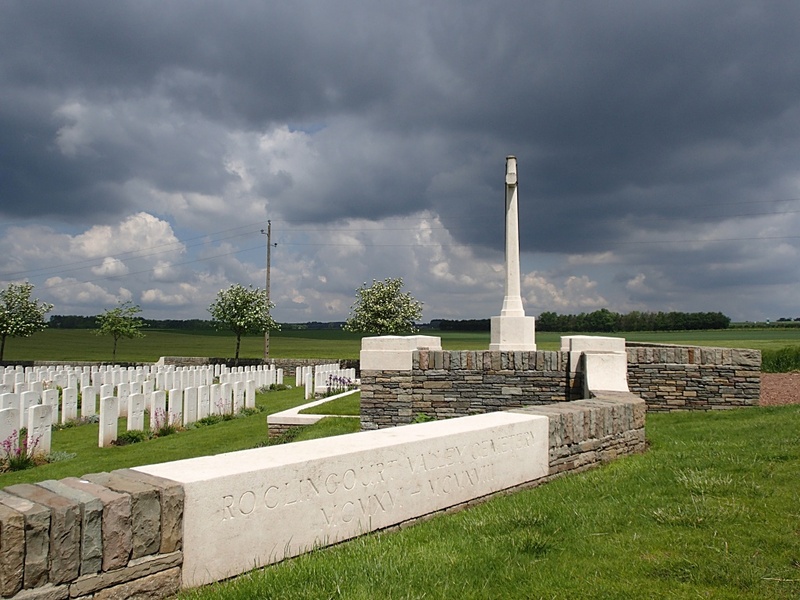 The 1st Canadian Division attacked further north, across the Lens road. 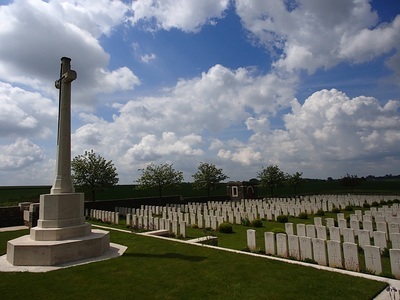 KING CRATER CEMETERY, ROCLINCOURT: a mine crater, it contained 99 burials in five big graves, made by the 34th Division in the middle of April 1917, all dating from 9 April. 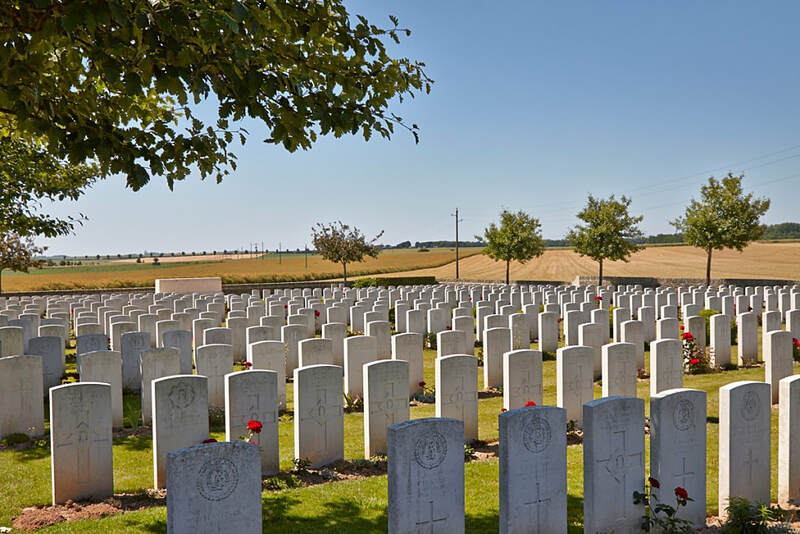 All but two belonged to the Tyneside Brigades of the Northumberland Fusiliers. 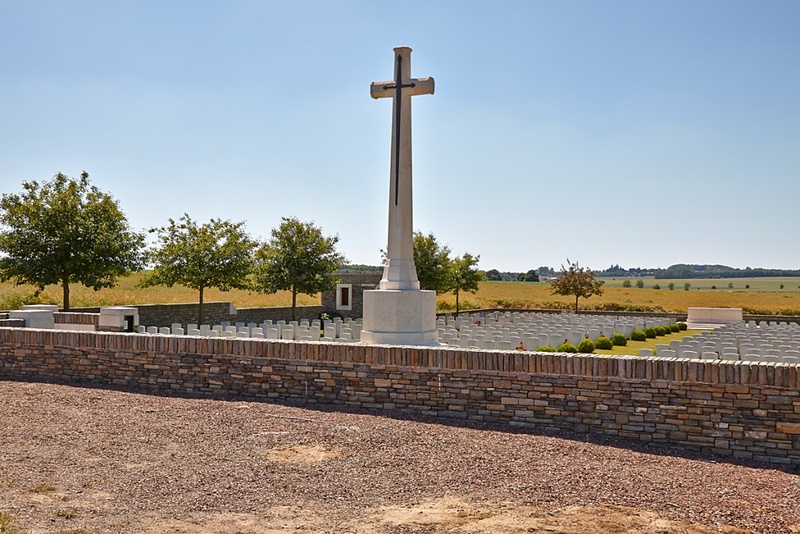 KITE CRATER CEMETERY, ST LAURENT-BLANGY, contained 53 burials of 9 April 1917 in five big graves, mainly of the 34th Division. RABS ROAD CEMETERY, ST LAURENT-BLANGY, contained 20 burials of 9 or 13 April 1917, 16 belonging to the 15th or 16th Royal Scots. ROCLINCOURT LONG CEMETERY (called at one time Roclincourt Forward Cemetery No.3), contained 68 burials of 9 April 1917, all 51st Division. 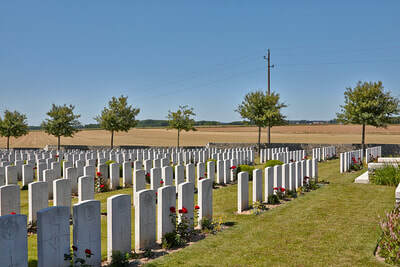 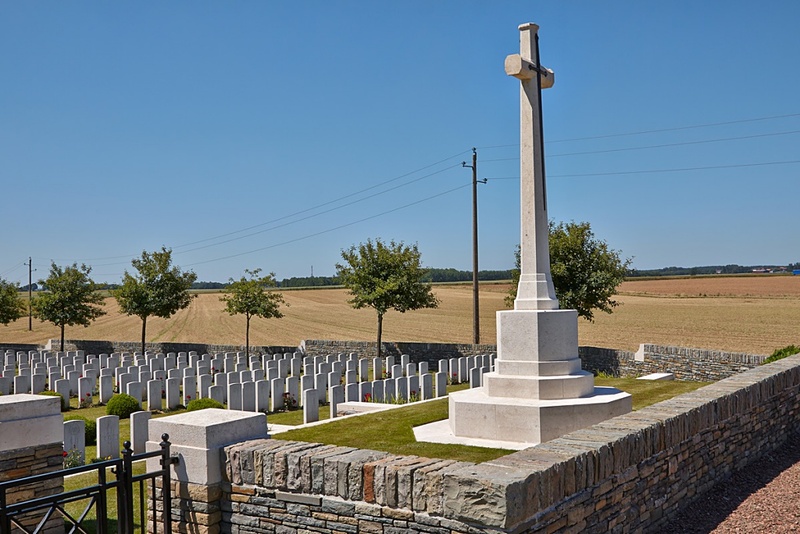 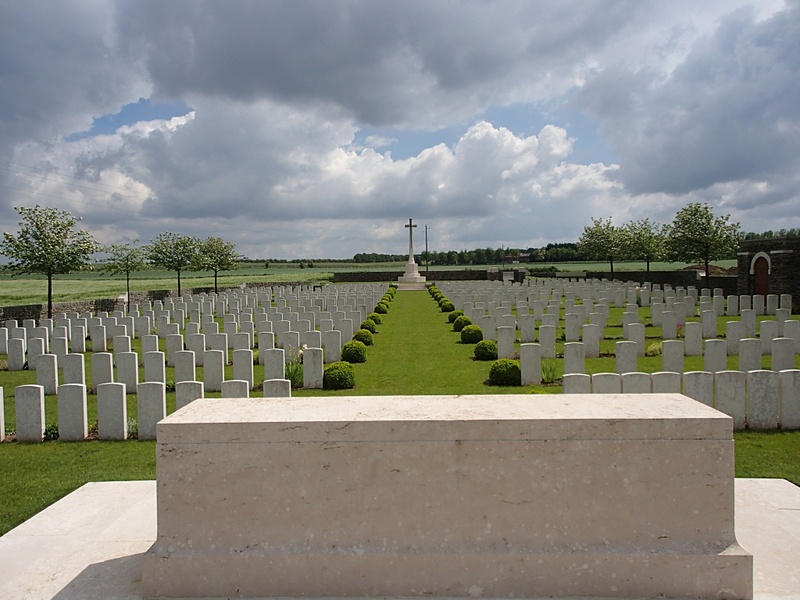 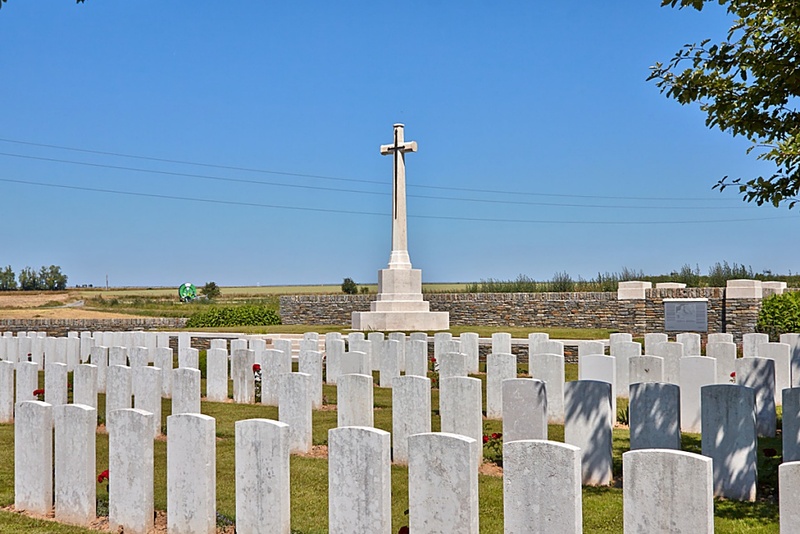 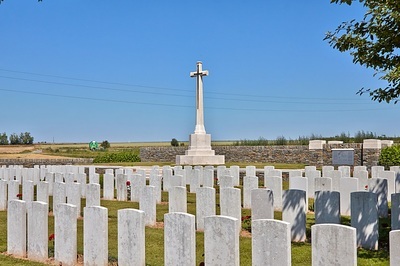 THELUS ROAD CEMETERY, ROCLINCOURT, was made by the XVII Corps and contained 42 burials of 9 April 1917, 51st Division. 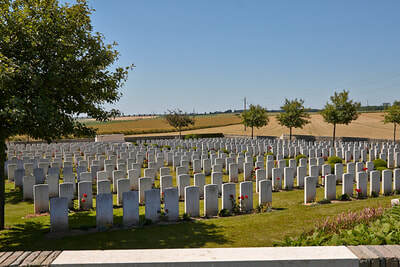 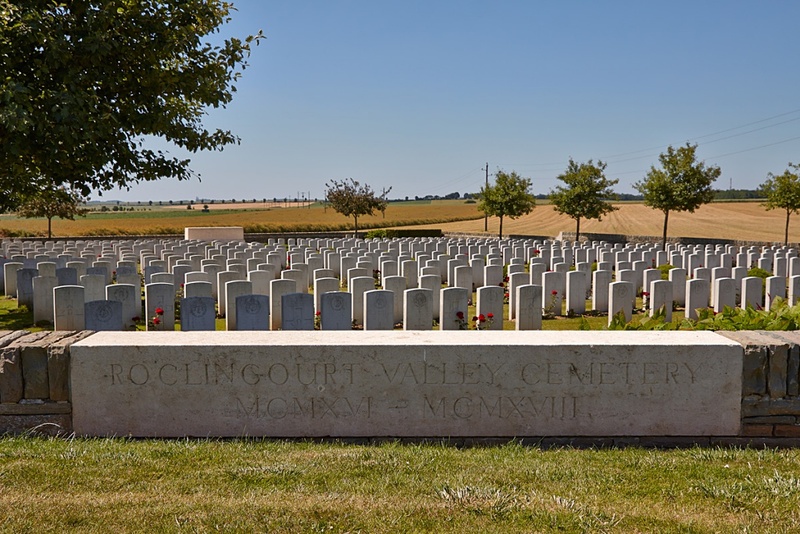 The cemetery now contains 518 burials and commemorations of the First World War. 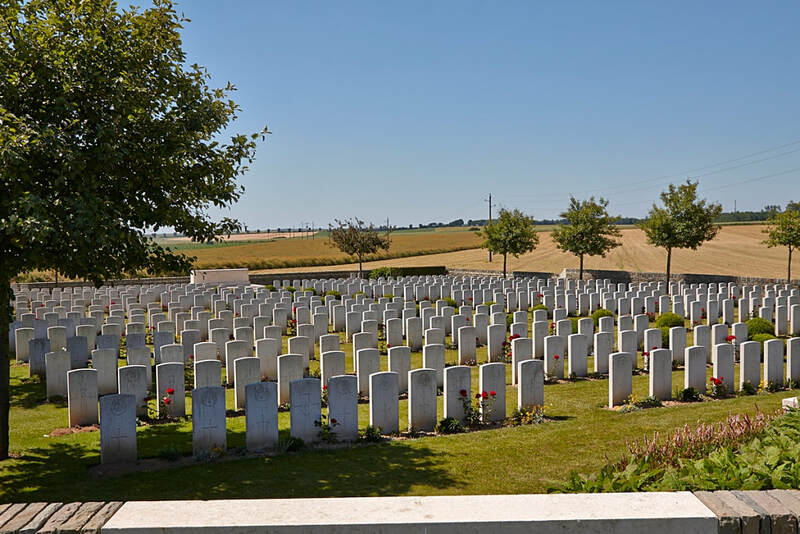 83 of the burials are unidentified but there are special memorials to four casualties known, or believed, to be buried among them. Casualty Details: UK 522, Canada 2, New Zealand 2, South Africa 22, Total Burials: 548. 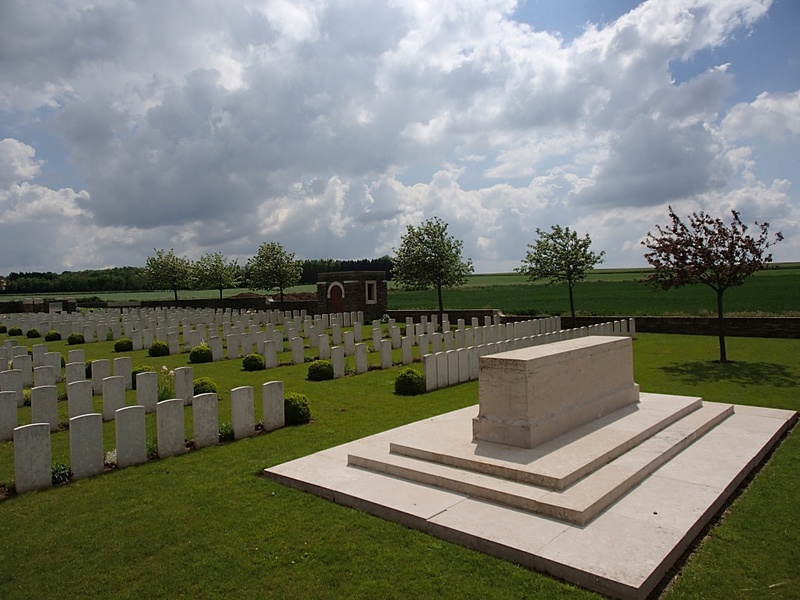 10263 Private, Edward Bolton, 1st Bn. Cheshire Regiment, executed for desertion 14th April 1916, Plot II. 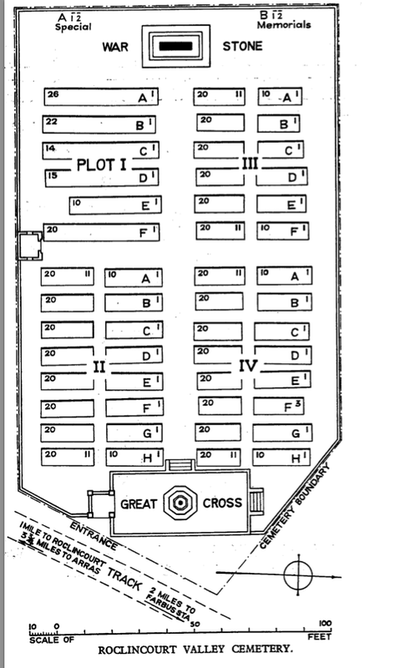 F. 7.